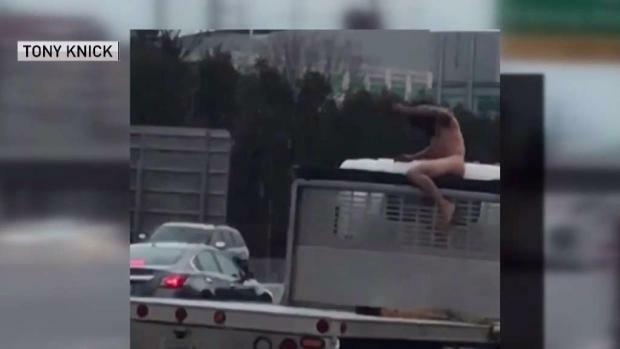 A man who authorities say stripped naked and jumped onto a moving truck in freezing temperatures near Washington Dulles International Airport will avoid jail time for the incident. Jose Gonzalez Flores pleaded guilty Tuesday to misdemeanor hit-and-run, misdemeanor assault and indecent exposure. He received a suspended sentence of three years. The other charges Flores faced were nolle prossed, meaning they would not be pursued. On Dec. 12, 2017, shocked drivers stopped their cars to gawk at Flores' rampage, backing up traffic for miles on Route 28 in Fairfax County, Virginia. Flores was involved in a hit-and-run and then assaulted another driver and ran into traffic, police said. He tried to smash the windows of passing cars and used a knife to stab at the roof of the truck he jumped onto, a witness told News4. A woman recording the scene after the crash started to scream as she realized he posed a threat. Flores' rampage just ahead of the evening rush hour began after a three-car crash on southbound Route 28 near Frying Pan Road, Fairfax County police said. Amid strong winds and temperatures in the 20s, the agitated man started to strip, witnesses said. Truck driver Adam Allen saw Flores strip down and then lock eyes with him. Allen's dog, Emma, got uneasy. 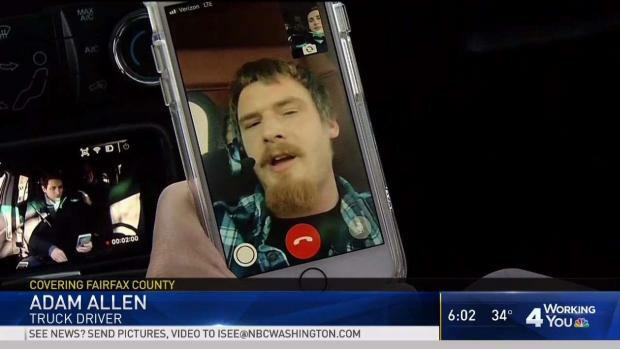 Officers responded from Fairfax County and Loudoun County, as well as the Metropolitan Washington Airport Authority and the Loudoun County Sheriff’s Office. Flores, of Sterling, was found a short time later in a drainage ditch on Dulles airport property. He was arrested and then taken to a hospital. No one else was hurt. Flores will be on probation for two years or until restitution is paid in full.